I've been using the £499.99 Dguard e-call system for a while now, and have covered 2500 miles with it fitted. Here's what I think. What’s good? I was fortunate enough to test the very first road-going Dguard emergency call system in the UK. Fortunately, I have not been able to test the bike’s ability to independently call for help in the event of an accident, but I have grown to be quite dependant on the system for the security of my bike. When you install the product, you create an account using a handy mobile app, which doubles up as a remote to control the sensitivity of the in-built security sensor. This is very intuitive and makes creating your perfect personal security settings a doddle! 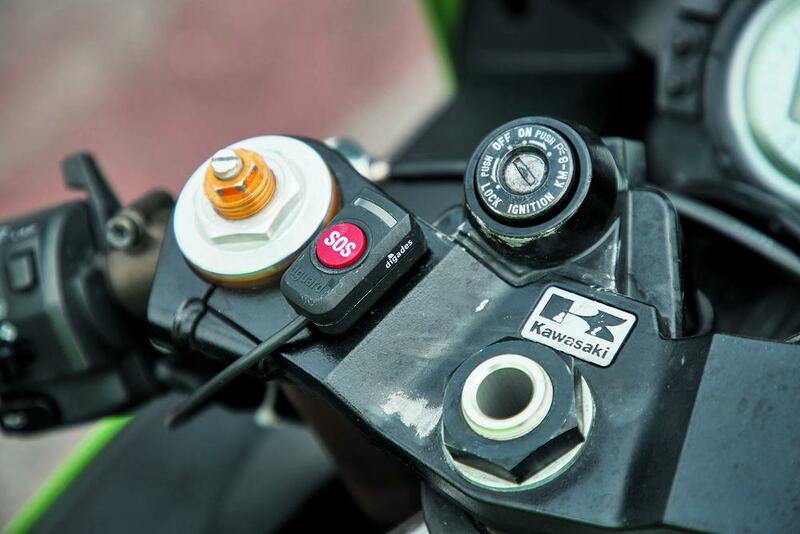 I was worried that the Dguard unit would look bulky and obvious and spoil the look of my Kawasaki ZX-6R and so I was pleasantly surprised to find the only obvious trace of it being fitted was the SOS button on the top yoke. What’s not? If the system detects unauthorised movement, it will send a notification to your phone. If you forget to switch this off and take it somewhere where it is likely to move a lot (a garage for example), your phone is then spammed with alerts to tell you your bike has apparently been stolen.